I often hear people in IT say that things would go much more smoothly if not for politics. I’m sorry to have to tell you that this attitude is misinformed. In fact, one former CIO, H. James Dallas, who is also the author of Mastering the Challenges of Leading Change: Inspire the People and Succeed Where Others Fail, counsels that those who do not like politics should “get out of the game.” Politics is what effective CIOs do. It is via politics that organizations determine how much they are going to spend on technology and what technology investments they are going to make. Politics involves inserting oneself into the center of an accelerating cycle of opportunity identification (what trends are approaching? ), evaluating options (which technologies and capabilities need to be deployed and developed? ), making decisions (what, when and how will we adapt?) and acting (doing something about the trends you observe). I call this four-part process the IT decision space. This process is political because the parties involved enter it with different agendas and perceptions. The CIO is the most political of C-level positions. General managers running a for-profit business have one boss. CIOs have to please many stakeholders. Without politics, they are unlikely to please more than one — and soon will be a former CIO. But how does one learn politics? Navigating the politics of organizations is not something that most technology-sector executives were taught in school. 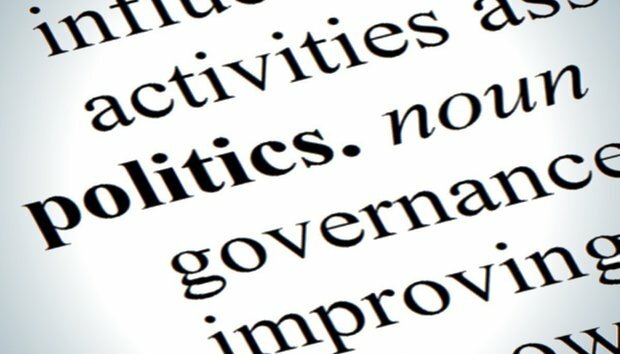 Developing political skills most often has to happen on the job, inside the IT organization. Probably the best way to get good at politics is to be mentored by a CIO who is good at politics. A good mentor will tell you hard truths, beginning with this: Politics is difficult. I asked several CIOs why the political side of the job is so hard, and they cited three major problem areas: a lack of common interest, ignorance within the enterprise about technology and decision spaces that are poorly architected. Organizations can be a semi-toxic cocktail of departmental silos. The different parts of the enterprise have different objectives and frequently don’t talk to one another or share information. And it is often even worse than that; when the first part of the phrase “departmental silos” departs, you are left with mental silos, in which people don’t even perceive the world in similar ways. Effective politics requires creating a common interest, a common language and a common mindset. In the absence of a crisis, getting all parties on the same page is a Sisyphean task. Dallas asks his mentees why Apple, and not Sony, came up with the iPod, which was really a logical extension of the Walkman. Besides the Walkman, Sony had the music. So why didn’t it become Apple? People would later ask Steve Jobs why he wasn’t worried about Sony, since it had all the pieces. Jobs said he knew those pieces were held in different divisions that would never come together and work as one to make life easier for the customer. Great CIOs and great politicians create common interest. A specter that has haunted the practice of technology value creation since the first ENIAC was deployed has been technology ignorance. It is not that the rudiments of technology are unlearnable or that muggles (non-technology executives) are too stupid to learn. The root cause of toxic political infighting is that muggles have historically operated under the assumption that there was little incentive to learn. This thankfully is changing. Great CIOs, like great politicians, create the incentive to learn, provide the curriculum to be learned and establish a process for knowledge to be assimilated. Think of FDR’s fireside chats. These were teachable moments — a politician helping the populace understand a complex world. A) You habitually don’t have the information needed to make a decision. B) You have not mapped the process of how critical decisions are made. C) You don’t periodically (at least annually) discuss how you decide to decide. In the politics associated with making technology decisions under conditions of uncertainty, an architected decision space lets you specify who votes and where, when and how the votes will be cast and counted. I am not as cynical as Joseph Stalin, who remarked, “The people who cast the votes decide nothing. The people who count the votes decide everything.” But I am enough of a realist to know that designing the electoral process (the IT decision space) counts for something.